Hot Plates Warming Tables India, Hot Plates Warming Tables Manufacturer, Hot Plates Warming Tables Suppliers & Hot Plates Warming Tables Exporters in India. 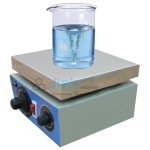 JLab is renowned Exporters & Manufacturer of Hot Plates Warming Tables & Scientific Lab Instruments India, Hot Plates Warming Tables Exporters, Hot Plates Warming Tables Suppliers India. 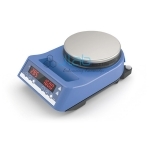 Hot Plate Magnetic-stirrers, Digital Magnetic-stirrers, LED Display Magnet Stirrer. 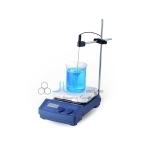 Multi Station Magnetic stirrers , Ceramic coated Magnetic stirrers, Magnetic stirrers with or without Hot Plate. Body made of CRC sheet duly powder coated with top plate made of Stainless Steel.